The hybrid inverter integrates two distinct compressor control modules to ensure constant natural comfort which is achieved with maximum energy efficiency. PAM (Pulse Amplitude Modulation) provides the highest levels of power for when you need to get cool (or warm) fast, while PWM (Pulse Width Modulation) ensures the desired room temperature and optimum energy efficiency. The Toshiba Inverter system features the best of both. PAM works like a turbo engine in a car. 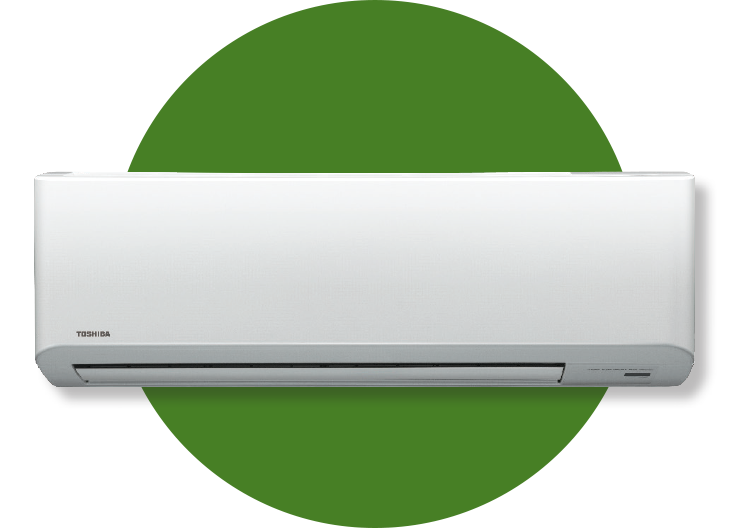 It will set a compressor at the maximum power, providing fast cooling in order to achieve the desired room temperature when the air conditioner is switched on. PWM helps to balance the compressor speed revolution, either high speed when providing fast cooling, or slow speed when maintaining room temperature. So, like cruise control in a car, it results in significantly less consumption. This compressor enables the adoption of a high-pressure refrigerant. High efficiency is evident in low speed operation ranges. It can reduce energy consumption when operated in long stable conditions. Rotating with two rollers at the same time makes accurate compressor rotation possible with less energy loss. As a result, it offers a great reduction in energy consumption with powerful operation. Toshiba IAQ technology is able to seriously inhibit the reproductive ability of harmful bacteria and viruses such as H5N1 Avian influenza. With Toshiba IAQ, your family can breathe easier and your house will feel like it has been spring cleaned. Pre-Filter with high performance ﬁlter Toshiba’s high-performance filter blocks out dust, thus you can ensure your room is kept fresh and clean. Simply refreshing, in a natural way.